Chris Rock brought the pain to HBO. 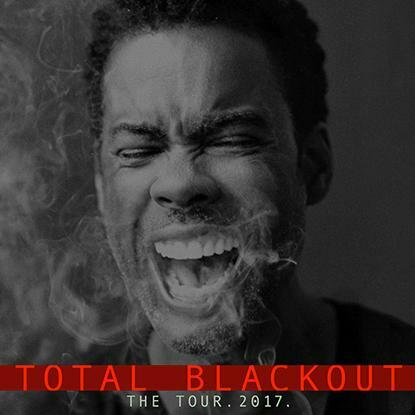 Now, after a decade-long absence from the comedy stage and a new Netflix special in the works, he’s bringing his jokes to Chicago Theatre, where he’ll perform on September 7–10, 2017, as part of his Total Blackout Tour 2017. The Emmy and Grammy Award–winning work is considered by Variety magazine and Entertainment Weekly as some of the finest standup comedy ever recorded and remains especially relevant given Rock’s unflinching but scathingly funny look at dating, marriage, and race relations in America. Look for Rock, who resisted the pressure from the #OscarSoWhite boycott campaign to host the Academy Awards in 2016, to mine some of that same material.